HCHC administrative offices will be closed from Wednesday, April 24, through Monday, April 29, for the Paschal Recess. 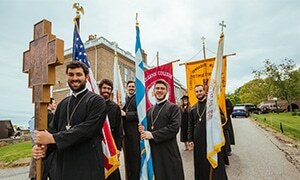 Educating the next generation of Orthodox Christian clergy and lay leaders. Orthodox Christian undergraduate and graduate higher education for men and women. Explore Hellenic College, the premier accredited four-year liberal arts Orthodox Christian college in America. Help protect the future of Hellenic College Holy Cross and the Orthodox Faith. Thank you to our supporters and friends! 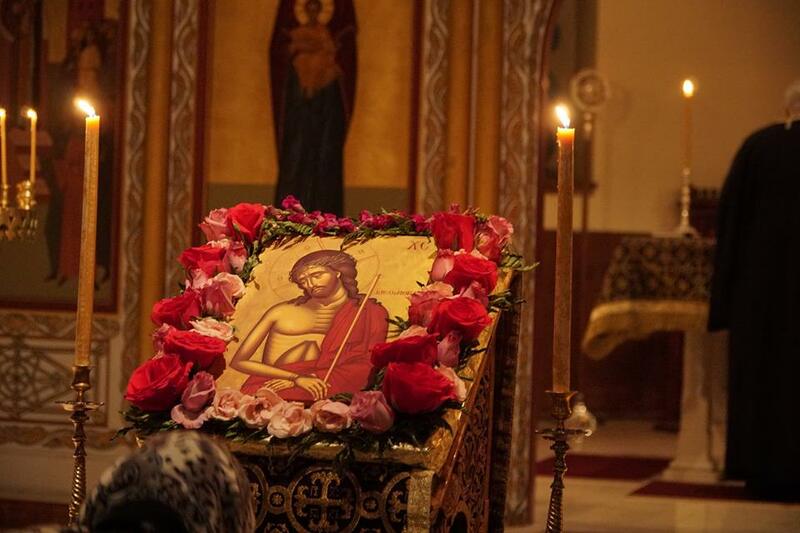 On Thursday of Holy Week, four events are commemorated: the washing of the disciples' feet, the institution of the Sacrament of the Holy Eucharist at the Last Supper, the agony in the garden of Gethsemane, and the betrayal of Christ by Judas. On Holy Wednesday, the Church invites the faithful to focus their attention on two figures: the sinful woman who anointed the head of Jesus shortly before the passion (Matthew 26:6-13), and Judas, the disciple who betrayed the Lord. On Holy Tuesday, the Church calls to remembrance two parables, which are related to the Second Coming. One is the parable of the Ten Virgins (Matthew 25:1-3); the other the parable of the Talents (Matthew 25:14-30).